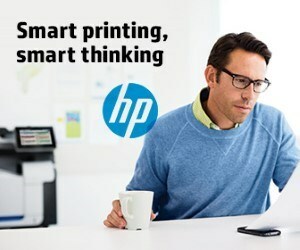 HP Certified OPS (Office Print Solutions) Partners are here to help you. We are here to provide expert advice on the best solutions for the job at hand, and have ready access to HP’s global resources – a benefit reserved only for HP Certified OPS Partners. HP Certified OPS Partners deliver HP solutions through all phases of the IT solution lifecycle. This includes flexible services and support options designed to give you the peace of mind to focus on your core business. HP Certified OPS Partners are empowered to stop problems before they affect your business. 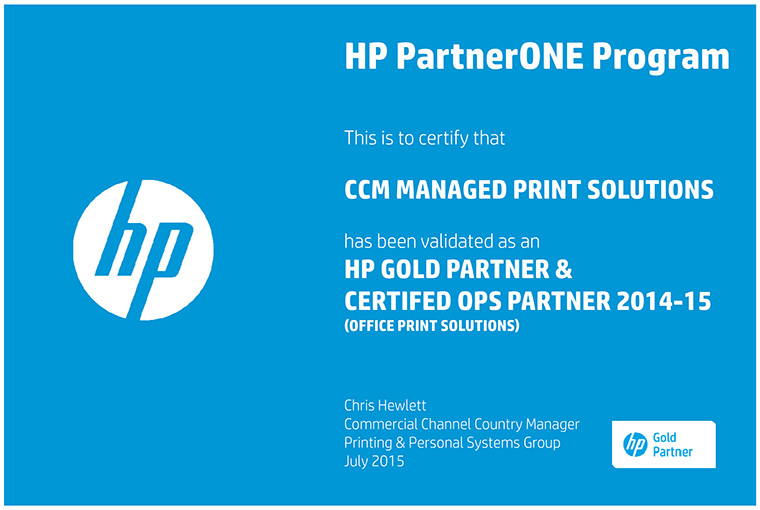 Only HP Certified OPS Partners are trained and authorised to use HP’s automated support technologies – enabling us to monitor your overall print environment and take immediate action whenever required. Get local expertise and personalised service while harnessing the power of HP’s global resources. Never wait for answers – or spare parts. HP Certified OPS Partners receive exclusive access to HP expertise, such as fast access to experts, critical sales and delivery tools, as well as the latest industry training & skills. Know that all your HP systems are running the latest firmware. Only HP Certified OPS Partners have access to all HP firmware updates and patches. Trust that your installation will be completed by HP-certified engineers. When you work with an HP Certified OPS Partner, you can be guaranteed that only HP-certified engineers will install solutions in your environment. What does it mean to be an HP Gold Partner? The Gold classification, HP’s premier level of partnership, is reserved for those partners who are proven to meet the most rigorous service standards and demonstrate the highest standards of service capabilities. Comply with HP’s most rigorous and extensive technical certification requirements. Deliver services that support your entire HP hardware portfolio. Resolve all break/fix support issues across HP technologies.